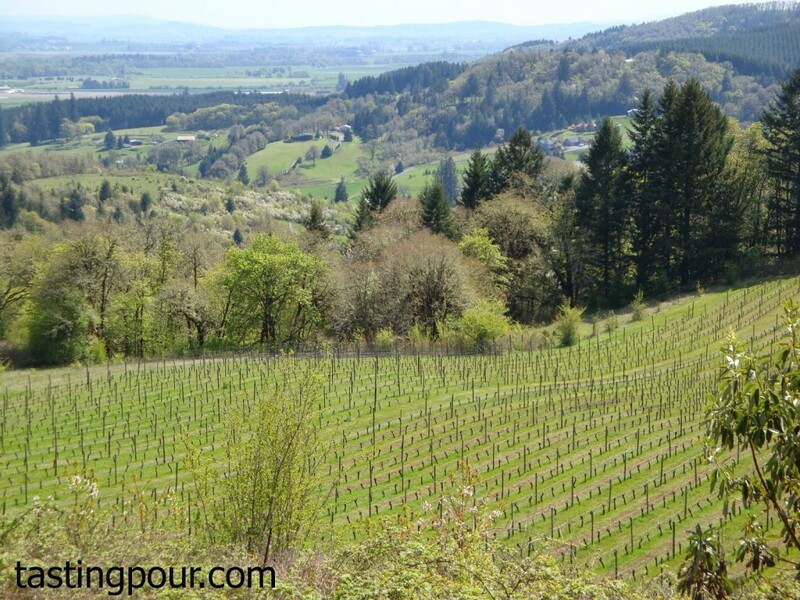 Wayne Bailey learned a phrase from the farmer/winemakers of Burgundy, “The best fertilizer is your footprint.” He incorporates this idea during his daily 6 a.m. walks of the vineyard at Youngberg Hill in McMinnville, Oregon. 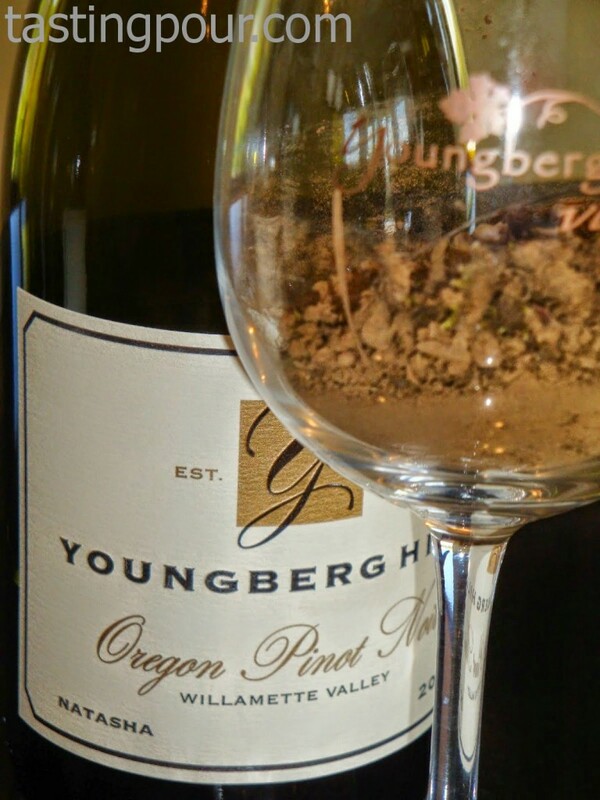 Youngberg Hill is farmed using the principles of biodynamics. 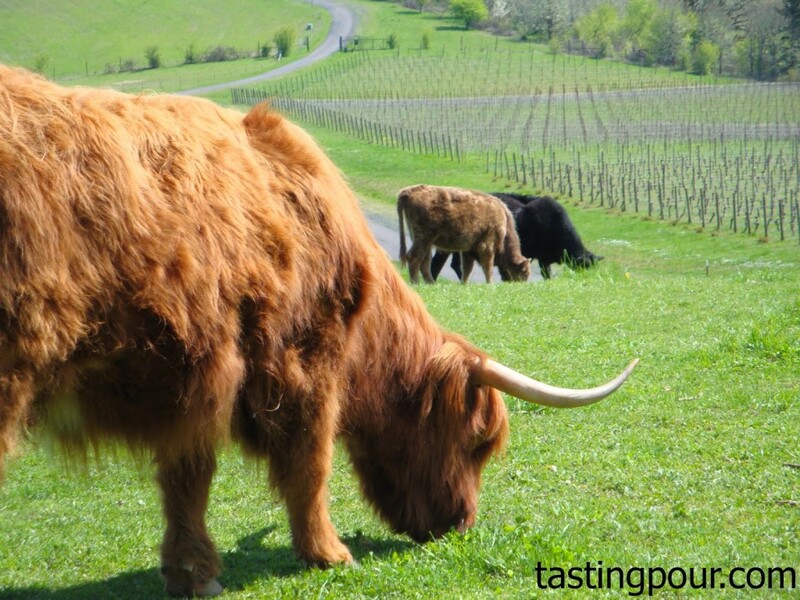 Biodynamic viticulture is like organic on steroids (if steroids were chemical free). “Organic only tells you what not to do,” Wayne explains. Wayne uses the word “holistic” or “seriously organic” and explains these practices are designed to work with the balance of nature. The key is “allowing” nature to be in balance, not “making sure” nature is in balance. “I watch what nature is trying to do and only interfere when it is struggling and I can help it go in the direction it wants to go. We pointed out that some think biodynamics involves dancing naked in the vineyard by moonlight. “What’s wrong with that?” Wayne answers with a chuckle. He relates biodynamic farming to the old school practices of planting by the Farmer’s Almanac. Natasha Block Pinot Noir with soil sample. Both the Natasha and Jordan blocks are planted with 25 year old ungrafted Pinot noir. Jordan sits at a higher elevation above the treeline and gets the full coastal breeze. Temperatures are 2-3 degrees lower and this block is picked last (Nov. 2nd in 2011). The Jordan block is characterized by darker fruits, earthy flavors, higher acids and tannins The Natasha block is grown in a marine sedimentary soil that holds more moisture. Vines develop a larger canopy which results in spicy notes (white and black pepper) in the wine. We knew Wayne had a spreadsheet somewhere and asked for a cost comparison on biodynamic vs conventional farming. “Even Steven,” was the quick reply. Wayne points out that he spends $0 on chemicals and isn’t fueling a big tractor. “We don’t practice holistic farming as a marketing strategy. It is the right thing to do.” Wayne has his three young daughters in mind. “I want to leave this farm to them and better than I found it.” And as we wandered the beautiful property taking photographs, three sets of little farmer footprints were added to the vineyard as Wayne put those daughters to work. Visit Youngberg Hill’s website for purchasing information. For more information on biodynamic viticulture Wayne recommends Voodoo Vintners. You nailed Wayne and Youngberg Jade. Thank you, Alan. What a lovely comment. Wayne and his wines are quite a pleasure. It’s about time soomnee wrote about this.